Amazon.com Inc is bringing to India a new service that allows unlimited ebook reading for Kindle users at an inaugural monthly price of Rs 99. 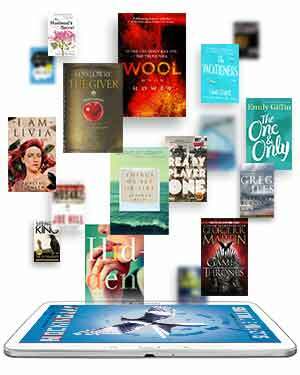 Christened 'Kindle Unlimited', the subscription-based reading service allows users to access e-books and audio books across genres on Kindle devices and Kindle reading apps, as per details on Amazon.in. From October 1, the service will be available for Rs 199 per month. Users can avail of a six-month package for Rs 999 while full year subscription is priced at Rs 1,799. This is considerably lower than the US subscription rate, which starts at $9.99 or approximately Rs 660 per month. India is the first Asian country where 'Kindle Unlimited' is being launched. It is already available in the US, UK, Germany, France, Italy, Spain, Brazil, Mexico, and Canada. The Unlimited catalogue allows Amazon to compete more effectively with Flipkart, which operates India's largest platform for books. A report by BMS Index recently suggested that Flipkart is the world's second largest book seller, ranking ahead of global players such as Barnes and Noble, FNAC, Waterstones and The Book Depository. Amazon was one of the first companies to launch an e-reader in India when it introduced the Kindle three years back.